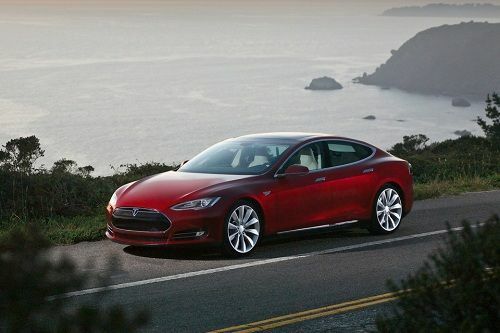 The Tesla Model S is Automobile of the Year, Car of the Year and Miss America. It is winning more awards lately than it has VIN numbers. With such a huge wave of momentum to ride, why shouldn’t Tesla raise prices on the new Super-sedan that starts at about $57,000.00 and tops out near $110,000.00? One reason that comes to mind is that this was to be the bridge model that moved the Tesla brand away from being a company that makes electric cars for the super–rich to the car company that wealthy enthusiasts would buy to enjoy and impress neighbors with their green credentials. Sort of a Prius hot-rod. Any modest price increase is likely to push the most basic of Model S sedans past $60,000.00 and may put the loaded version that won the hearts of the award-givers (as tested over $106,000.00) to near super-car price levels. Widely reported, and openly discussed on Tesla’s own website in the Forum section, the new price increase is said to apply to only those who have not yet placed a deposit and who don’t act fast to take their car. But wait, doesn’t that sound like “Act now, these prices won’t last!” How cheesy. Furthermore, the Model S costs waaaay more to make than they are being sold for, so why bother with adding the premium price? Perhaps the reason is that Tesla is now looking overseas (Europe?) for buyers. If that is the case, every automaker in that economic block will make a pretty easy case that they Model S is being “dumped” into its market. The US was very touchy about that subject not long ago. Could the bump in price actually be a bit of wiggle room intended to show that the Tesla accountants have run the numbers and discovered that indeed, they were just a little tight with the profit margins and another few percent would do the trick, and turn the company profitable? Pure speculation, but when you have used up a mountain of Benjamins to make less than 1000 units for sale, not out of the question. Some less than polite bloggers and unprofessional on-line magazines have written that the increase may have had something to do with bonuses based on profit margins. Given the reality of the balance sheet, and given the founder’s background and motivations, which are not in doubt, that seems ludicrous. Our speculation is that the rumor is 1) A trial balloon meant to gauge reaction and spur interest in general or 2) That plus a way to push those with reservations to pull the trigger and order their car. The rumor is discussed on the Tesla Forum, but Forbes.com credits a specific analyst at Maxim group as a source giving one the impression the increase may be more than a rumor. A bit of research on the part of Torque News could not find any official company announcement regarding the price increase. We have sent a request to Tesla directly via its press contact to confirm or deny the plans. No reply was received at the time of this publication, but we will update the story if any reply is received. It was officially announced by Tesla via their new Bulletin board section of their forums on the 11/20/2012. Anyone with a reservation will receive their vehicles at current prices and there are about 12 months of orders waiting so essentially they are pre announcing a price increase for their 2014 model year. The current base models is $57,499 with $10,000 added for 60kwh and $20,000 for 85 Kwh. I see no reason for thinking a modest price increase will push it past $60,000. In fact $59,999 seems like a new logical price point. You talk about unprofessional on-line journalism, care to provide a source for your absolutely incredible claim that " the Model S costs waaaay more to make than they are being sold for, so why bother with adding the premium price?"? That would entirely conflict with Tesla's claims in their SEC filings that the Model S is generating a profit and will render the company cash flow positive in December or early January. In making that claim you are essentially accusing Tesla of Lying to the SEC, a breathtaking claim. THANK YOU! I am going to update the article. Tesla can do all the gross profit calculations it wants to do, but if it divides its overhead by the revenue brought in by selling cars it is not making any profit in 2012. By its own admission the company is still cash-flow negative (it uses more money in its operations than it brings in via sale of its products.) This is not to be confused with start-up funding. The real problem for Tesla is volume. When it projected 5,000 in 2012, and then realized it did not have the ability to make that many, any P/L calculations for 2012 were thrown out the window. - I know all start-ups like to price their products based on the market's competitive price point and work backwards to profit per unit, but for now, they do not make money on their cars. We all hope they will, and soon. I won't split hairs on the initial price point for the base model. There are not going to be more than a few token ones anyway.